SKV brand invites you to the 25th edition of Automechanika Frankfurt which has just started. We are one of 5000 exhibitors taking part in the show. We sincerely invite you to join over 140,000 visitors and meet us in Hall 1.1 Stand A17. • door locks - 1 reference. • battery fuse overload protection (996SKV300). Within the newest products you can also find a Turbo oil return pipe 96SKV031 (OE038145736C), which applies to the car makes of the following brands VW, AUDI, SKODA, SEAT engines 1.9 TDI 2.0 TDI. We encourage you to check out the new range. For more details please visit www.skv.pl and TecDoc catalogue. • exhaust gas temperature sensors - 5 new references. 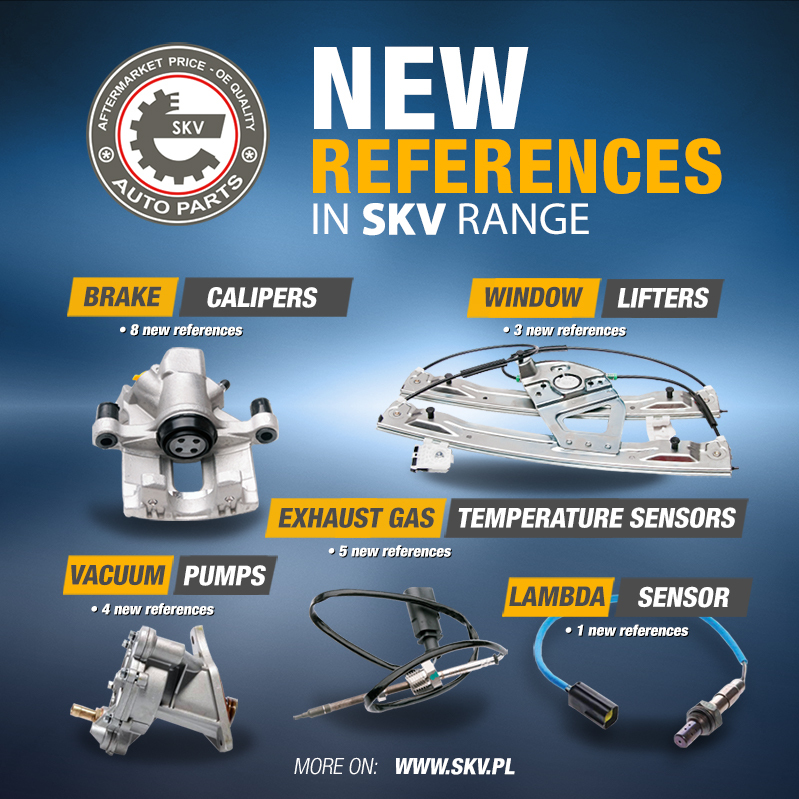 Presented range additions from SKV brand apply to various car models like: VAG group, Mercedes, Citroen, Land Rover, Mitsubishi, Chrysler, which follows the market demand. Like always products offered by SKV brand are characterised by approved quality and reasonable price. We encourage you to check the range, which details can be found in Tecdoc cataloge & on www.skv.pl. Very soon SKV brand will present even wider product range. SKV is a dynamically developing european brand of car parts. Currently SKV range holds over 4 thousand references in over 35 different assortment groups.